Skye Gravestones | Iain & Ann (Beaton) Kelly & family. Iain & Ann (Beaton) Kelly & family. 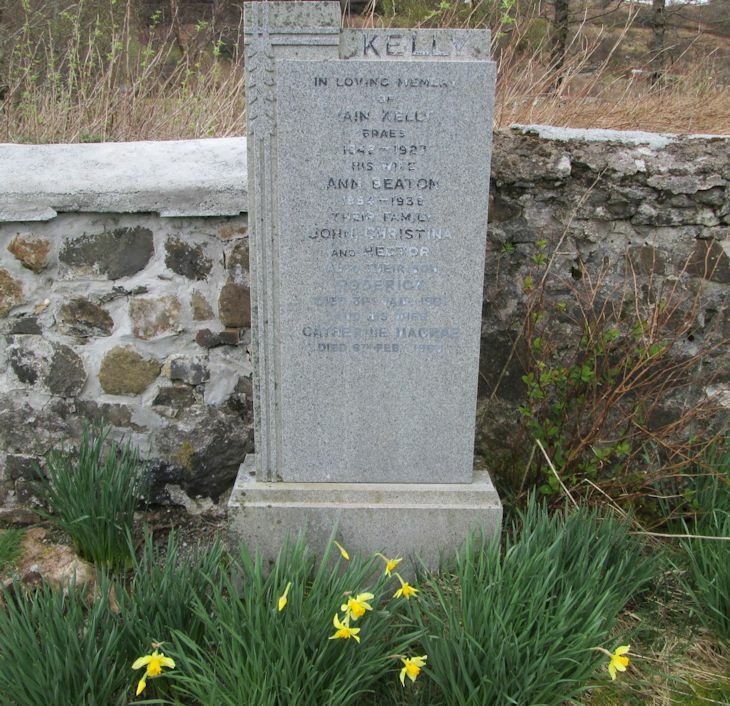 In loving memory/of/IAIN KELLY/Braes/1842-1927/his wife/ANN BEATON/1854-1938/their family/JOHN, CHRISTINA/and HECTOR/also their son/RODERICK/died 31st Jany 1961/and his wife/CATHERINE MACRAE/died 6th Feby 1963.